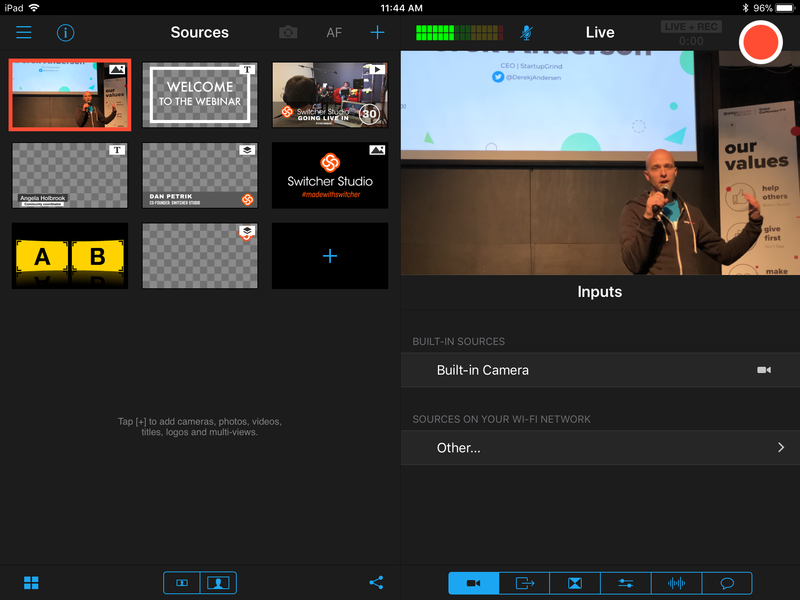 With Switcher Studio, it is easier than ever to market your brand's social media platforms on your live broadcast. To get started, tap on the blue "+" at the bottom of the Sources Window. This will open up the Assets menu. Scroll down to the "Dynamic Templates" section. Choose "Social Overlays". 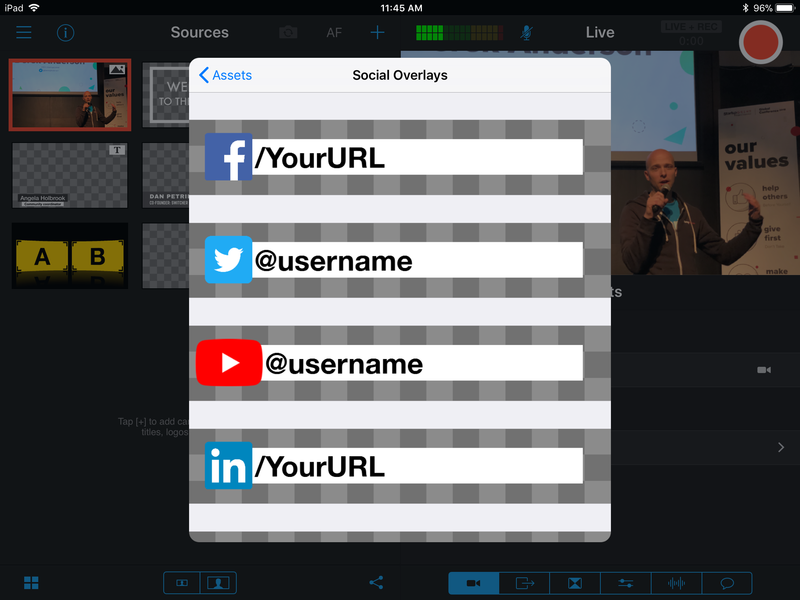 You can choose overlays for Facebook, Twitter, YouTube, LinkedIn, and Instagram. Tap on the platform that you wish to have advertised. 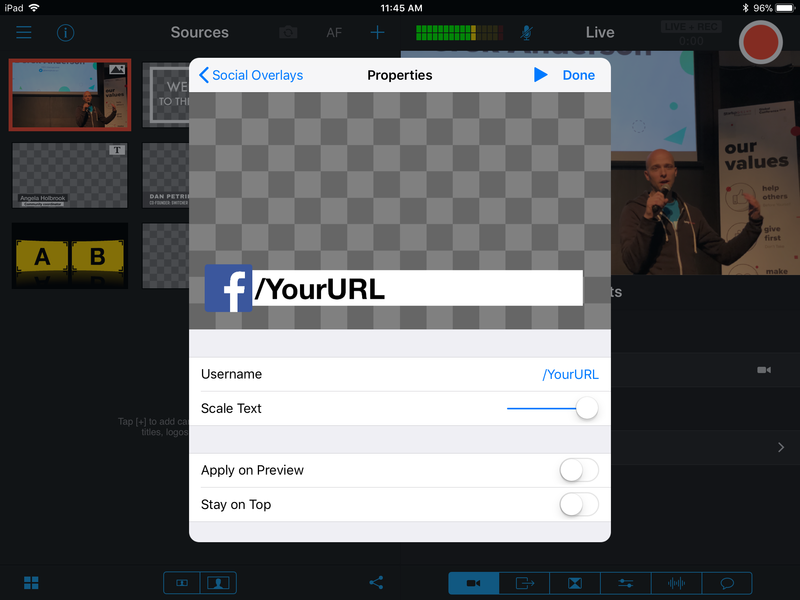 Tap on where it says "/YourURL" on the bottom half of the screen, and change it to your actual URL. 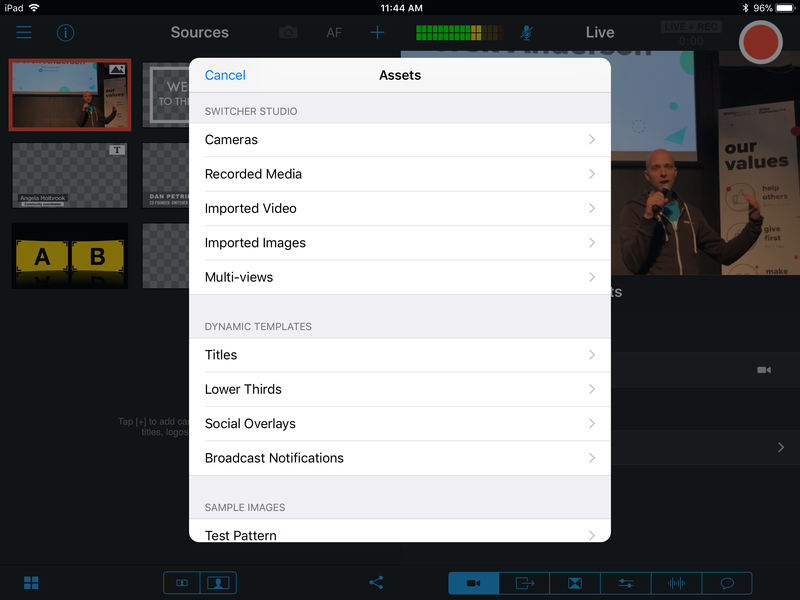 You now have a professional and catchy way to market yourself on your next live broadcast!